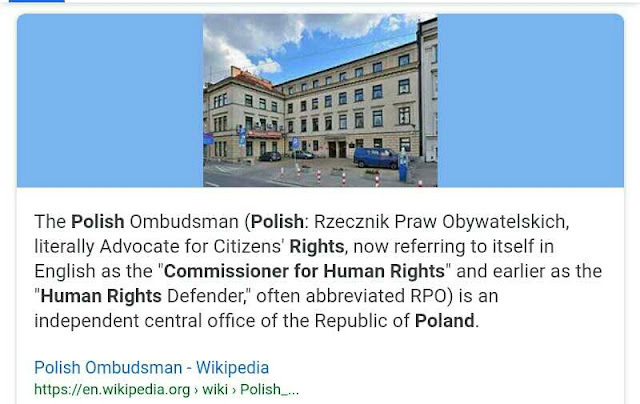 Been there, done that, and have accomplished ZERO POINT NOTHING for your people(its what entire situations adds up to since independence of Ukraine) and want to get again back in old chair !!????? There is only one reason for such decision if you still want to get back in that same old chair...reason is your service to Kremlin and not Ukrainian people. Conspiracy theories don't count for nations when it comes to survival...accomplishments or failures do(GO AWAY TIMOSHENKO). With more than 60 percent of Ukrainians telling pollsters they want to see new leaders for their country, former Prime Minister Yulia Tymoshenko, in politics for 22 years, has decided to offer them a brand new version of herself. Dispensing with her trademark peasant braids, Tymoshenko wore her hair in a long ponytail and wore large glasses as she told hundreds of her assembled supporters of her new vision of the country. She also quoted Franklin Delano Roosevelt, the longest-serving American president from 1933 until his death in 1945. He ushered in a New Deal of social protections for Americans and brought the U.S. and its allies close to triumph in World War II before his death on April 12, 1945, less than a month before the defeat of Nazi Germany. “I didn’t plan to criticize anybody today, because we’ve criticized each other until the country has been brought almost to the collapse,” she said in the arena-like Kyiv Expo Plaza exhibition hall, a large plasma screen showing graphics behind her back. “But there’s no quality, strong leadership in the country,” she added, making it clear she thinks that she is the kind of leader the country lacked. 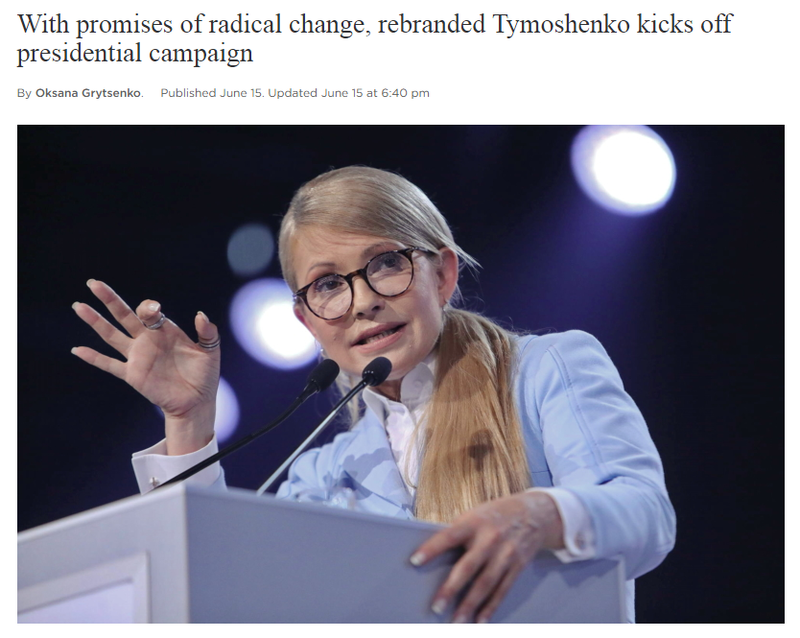 Tymoshenko, 57, a former gas trader, came to politics in 1996 as a protege of corrupt ex-Prime Minister Pavlo Lazarenko and has twice been prime minister, though she is now better known as an opposition figure. She has been jailed twice – by former Presidents Leonid Kuchma and Viktor Yanukovych – but both times quickly bounced back to top-level politics. Lazarenko, her former mentor, served several years in a U.S. federal prison after his conviction on money-laundering charges. Now a lawmaker and the leader of the Batkivshchyna party, with 19 seats in parliament, she has a popularity rating of 13 to 16 percent, recent polls show, good enough for the first place. But Tymoshenko also has one of the highest unpopularity ratings among Ukrainian politicians – almost 56 percent of Ukrainians said they had a negative attitude to her in an April survey by the Kyiv International Institute of Sociology. Her other big problem is that some 29 percent of Ukrainians haven’t yet decided who they will support at the next presidential elections, which are scheduled for March 31, 2019. So to enthuse the electorate, Tymoshenko and her team are proposing a radical reshaping of the Ukrainian system of government. In her two-and-a-half hour speech, Tymoshenko said Ukraine should transform into a parliamentary republic, with most presidential powers being transferred to a new position – chancellor. Political parties would put forward their candidates for chancellor during parliamentary elections, with the party winning the parliament elections also winning the chancellorship. “This form of government would be stronger than the presidential one,” she said. And with Batkivshchyna party now leading in the polls with 8.5 percent support, Tymoshenko obviously believes she would have a good chance of being chancellor. However, didn’t specify who these people might be. Tymoshenko also spoke of granting more powers to ordinary Ukrainians. She said the public would be able to elect lower court judges, propose amendments to laws, and launch national referendums at their own initiative. To make all these plans happen, Tymoshenko hinted that Ukrainians should elect the right president. Without saying directly that she wanted to be the next president, Tymoshenko made it clear that was her plan: When one forum speaker said she would most likely be the next president, she laughed and thanked him. Tymoshenko speech at times generated loud applause, but also at times the audience appeared confused or bored. According to polls, Tymoshenko’s electorate mainly consists of middle-aged residents of villages and small towns, where she competes with Oleg Lyashko, the leader of Radical Party, who like many other Ukrainian politicians started his political career on Tymoshenko’s team. Analysts said her new strategy is designed to win new supporters among young residents of big cities. “It is a sort of an appeal to the urban electorate, because it was a very advanced and somewhat complicated speech, with lots of graphics and tables,” Andreas Umland, a German political expert who was present at the forum, told the Kyiv Post. “It’s obviously the start of her election campaign,” he added.